This Article is a special dedication to people who live under the myth that leaving carbohydrates is the easiest and fastest way to lose weight. The concept does stand on its word; however the long term repercussions and overall body loss is way beyond the weight loss paradigm. As usual the article I am sharing is with a mindset for healthy living the natural way. We all have seen individuals probably in colleges, offices, social gatherings who don’t eat “Breads”; iterating it in Indian Language “Roti”; and the simple reason I am losing weight. Lest deep dive into what is actually the role of carbohydrates in body and why completely wiping it off the radar is not a good idea. 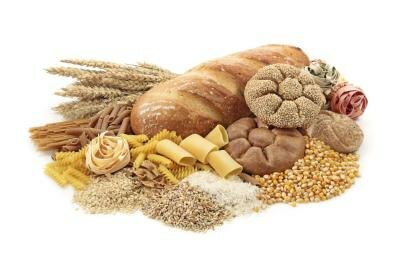 Carbohydrate is the major fuel of energy within the body. Carbs are broken down into starch and sugar; which are then absorbed in the blood stream where they are termed as blood sugars (Glucose). The glucose is used by body for energy for all day to day activities; may it be programming, presenting or Working out. Glucose can be used by body for energy right away or stored for future use. When we work out body consumes energy from muscle glycogen; storage form of glucose. Glycogens are to be replenished as they are burnt during a workout; thus it becomes more essential to consume a post-workout fast digesting carbs at the earliest. It all depends on how you package your carbohydrate intake and at what time for your body to consume the same. Delete all simple sugars from your life like Soda, Cakes, Sweets, Cookies etc. ; this list needs no recognition and everyone more or less knows what falls in it. Choose foods rich in fibre and easily digestible carbohydrates. Consume complex carbs at times like post-workout, Morning or Afternoon meal. Low-Carb diets work magnificent at the initial stage for weight loss; however post a period the diet becomes indifferent to any other weight loss diet. The body consumes the stored glucose for energy and the chances of fatigue are more if the stores are not replenished again. Psychologically the body is programmed for a normal carbohydrate diet; so as soon as you get back to complex carbs the weight will shoot up again. Eating Fruits with a meal is simply like throwing them in a gut. When Fruits are eaten along with any other meal they have to wait to get processed. The stored fruits rot stored in the body and are not able to provide optimal nutritional value.